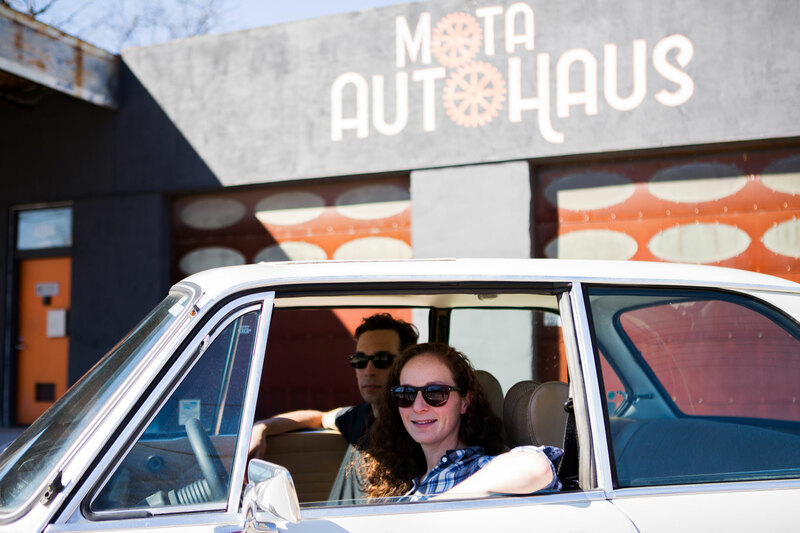 Mota Autohaus is an independent repair shop specializing in BMW automotive vehicles. Manuel has been in the automotive industry for almost 15 years, and is a Level One BMW Master Technician, the highest level certification available. Originally from Puerto Rico, he moved to Birmingham to work at the BMW dealership after completing his bachelor’s degree in Biology followed by his BMW technician certification. Lexi, Manuel’s wife, is a Birmingham native. She moved back to her home town after completing her Bachelor’s degree in Biology from Indiana University and Certified Pastry Culinarian from LCB in Austin, TX. Lexi eventually went on to open her own Wedding Cake boutique, The Cakerie, where she specializes in high end wedding cakes that are known for their intricate design and exquisite taste. When she is not making cakes, you can find her behind the front desk at Mota Autohaus greeting the customers with a friendly smile. They both know the dedication and sacrifice it takes to make a successful business. With their two children, they hope to make a family-friendly neighborhood environment.